Come to the Open Days to know about the 2018/2019 academic programs of IUSTO, the Istituto Universitario Salesiano Torino Rebaudengo (Salesian University Institute Torino Rebaudengo). IUSTO is a private institution, located in Torino, a branch of the Università Pontificia Salesiana di Roma (Salesian Pontifical University of Rome). It is dedicated to academic education and research in the Human Sciences field. It has a Department of Psychology and a Department of Education. The open day will begin with a introduction on IUSTO degree programs and university world, followed by a detailed presentation of the single programs. The Dean, the Responsible for Courses and Coordinators will participate. Students and graduates will share their own experience. At the reception you will find staff from the information point who you will be able to talk with. 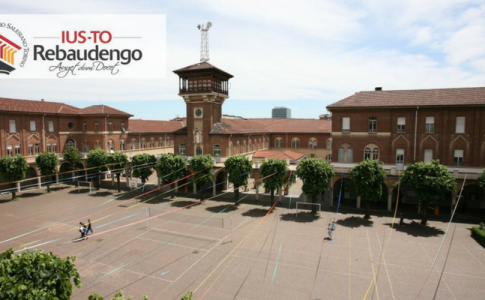 The Open Day will be at IUSTO – Istituto Universitario Salesiano Torino, linked with the Department of Education of the Università Pontificia Salesiana di Roma, in Piazza Conti di Rebaudengo, 22, Torino. Online confirmation is compulsory. In case you bring other people, you must specify it in the dedicated section of the form. Free access until the maximum number is reached. For further information, please contact us at 011 2340083 – from Monday to Friday, 9 AM – 1 PM /2 PM – 5.30 PM.